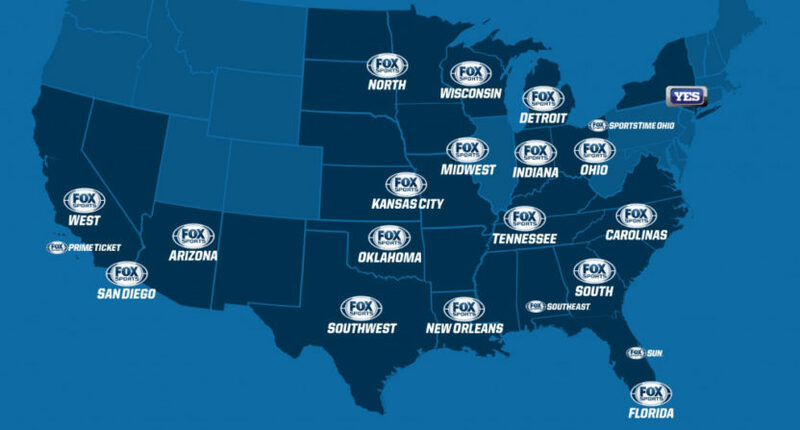 The long and convoluted saga of the Fox Sports regional sports networks is drawing to a close, as Disney only has 90 days from the March 20 closing of the Disney-Fox deal to sell them (as per Disney’s agreement with the Department of Justice). And yet, there’s apparently still room for some twists. The latest one sees the two strongest-looking bids (from Liberty Media and Major League Baseball) combined, the return of Sinclair months after their reported exit, and the BIG3 still pushing forward with their debt-heavy bid. To understand just how strange this is, it’s worth looking back over how these bidding stories have changed over the last couple of months. Feb. 1 saw a Bloomberg report that Disney had received second-round offers from Sinclair, Apollo Global Management, and Major League Baseball, but Feb. 6 saw CNBC report that Liberty Media was joining the bidding, and that Sinclair and Apollo Global “were out of the process, though Sinclair may seek to join another bid.” The Liberty bid’s picked up steam since then, with owners like Tom Gores (Detroit Pistons) and Jim Pohlad (Minnesota Twins) signing on (Liberty itself owns the Atlanta Braves). Meanwhile, MLB’s made some headlines with its own bid, with commissioner Rob Manfred saying they view buying these RSNs as a way to move towards more of a centralized rights deal. Walt Disney Co. received final-round bids of about $10 billion and up for the Fox regional sports networks, with John Malone’s Liberty Media Corp. and Sinclair Broadcast Group Inc. among those vying for the assets, according to people familiar with the matter. Yeah, let’s talk about the BIG3 bid for a minute. Ice Cube and the BIG3 (well, that’s how the bid’s referred to by most, but the league is only putting up $500 million of the $10 billion bid at most, with another $3 billion from various financers and the remaining $6.5 billion just listed as “debt”) first came into this conversation in November, putting together a bid that came with vows to program the RSNs with everything from content from Snoop Dogg, Serena Williams, and Kevin Hart to “a premium take on a home shopping channel.” But they weren’t one of those reported second-round bids in February. How good of a prize are these RSNs anyway? Well, it looks like the winner’s going to get them at a significant discount compared to the valuation when this sale began last year. The whole package was initially valued between $20-22 billion, but YES has since been carved out of that (with the Yankees buying it back with help from Amazon, Sinclair and other partners) for around $4 billion; however, the remaining package of 21 RSNs here has only received bids of “$10 billion and up,” quite a ways below the $16-18 billion original estimate for the RSNs minus YES. And earlier this month, Discovery’s David Zaslav said his company didn’t bid because he’s bearish on the future of these RSNs. “We just felt like it’s a very treacherous market,” Zaslav said on stage at the CAA World Congress of Sports earlier this month. Zaslav went on to express more skepticism than I was expecting over the future of RSNs and the cost of U.S. sports rights. Those costs — from broadcaster retransmission consent fees to cable network affiliate rates — have created a market where multichannel television in the United States regularly exceeds $100 per month. In many international markets, the cost of multichannel television is as low as $15 per month, he said. Zaslav highlighted his U.S. channels, all of which are relatively inexpensive for distributors to carry. “Right now, we’re seen as the friendly person to put on every platform with great content,” he said. However, Zaslav’s view is far from universal. That same piece sees Fox’s Mark Silverman saying “There’s a lot of strong viewership in a lot of these markets for the RSNs. I’m not convinced that there’s any short-term demise ahead of the RSNs at all,” and adding that Fox only didn’t try to buy them back because they weren’t a fit with the new scaled-down Fox. So not everyone agrees that the RSNs are doomed. And many of these RSNs do have strong carriage situations (although a number of agreements are expiring) and good rights deals, which aren’t even always dependent on their teams being good. For example, while Cleveland Cavaliers’ ratings on Fox Sports Ohio fell 58 percent this season after LeBron James’ exit, they still posted the sixth-best local ratings in the NBA despite a 19-63 record that tied for second-worst in the league. There also have been plenty of MLB teams on these networks that have posted strong ratings even when they’re struggling on the field. So there’s definitely a business case for these, especially at the present. Maybe that changes, but for the moment, it’s understandable why there are numerous bidders here. And it’s going to be very interesting to see who comes up with these RSNs in the end. The joint Liberty/MLB bid seems like the favorite given that both of those sides had the resources to make this happen on their own, but it does carry some potential antitrust questions, especially when it comes to the MLB side. There’s next to no information on what Sinclair’s bid is and if they’re partnered with other financiers or going it alone, but they also have significant resources and experience in the TV game (albeit on some different sides; they primarily own a lot of local broadcast stations, but also digital network Stadium), so they can’t be ruled out. And while the BIG3 bid carries a whole lot of questions, there’s maybe a chance they pull it off. In any case, the RSNs should be sold to someone pretty soon to make that 90-day window.